Barbie hand sanitizer is alcohol free. An innovative way of cleaning your palms in a jiffy, without soap or water. Just pour liberal amount onto your palm and rub together both your palms front & back, to & fro and you have clean & safe hands. Barbie products are introduced in the market by Green Gold Licensing and Merchandising Pvt. 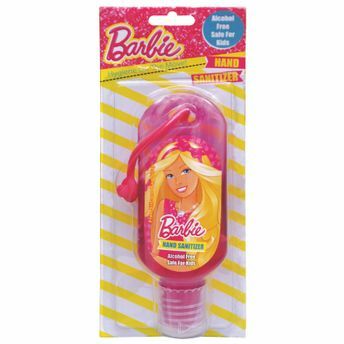 Ltd. Barbie Hand Sanitizer is an ideal product for kids.